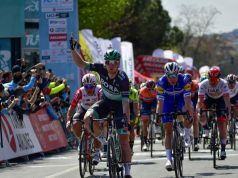 The last road race in Europe this season took place yesterday as riders lined up for Nationale Sluitingprijs (Putte-Kapellen) on the Dutch-Belgian border. The riders face eleven laps of 16.5 kilometres and in a race which usually comes down to a sprint finish, it was no different this year. 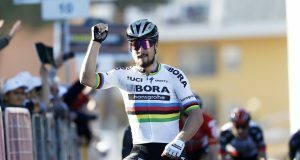 Belgium’s Roy Jans proved fastest at the end, taking his first victory of the season. 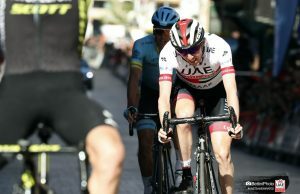 His Italian team-mate Danilo Napolitano had been part of the main breakway with seven other riders which was caught with three laps to go. 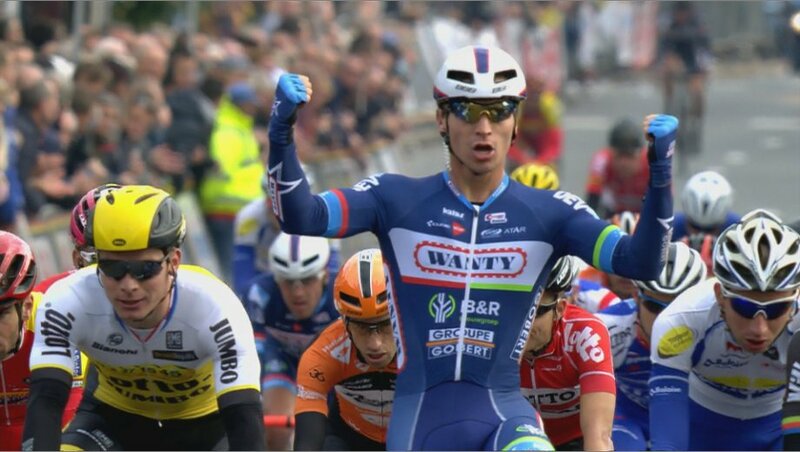 When they were brought back, the other Wanty-Groupe Gobert riders helped to ensure that Jans was positioned well for the sprint. A massive crash inside the closing kilometres split the peloton to pieces, leaving just 20-30 riders in the main group to contest the finish. At the finish on Ertbrandstraat, Jans sprinted to victory ahead of Timothy Dupont (Verandas Willems Cycling Team) and Moreno Hofland (Team LottoNL – Jumbo). “Since the Tour de Poitou-Charentes I’m back to a good level. It was a difficult season for me. 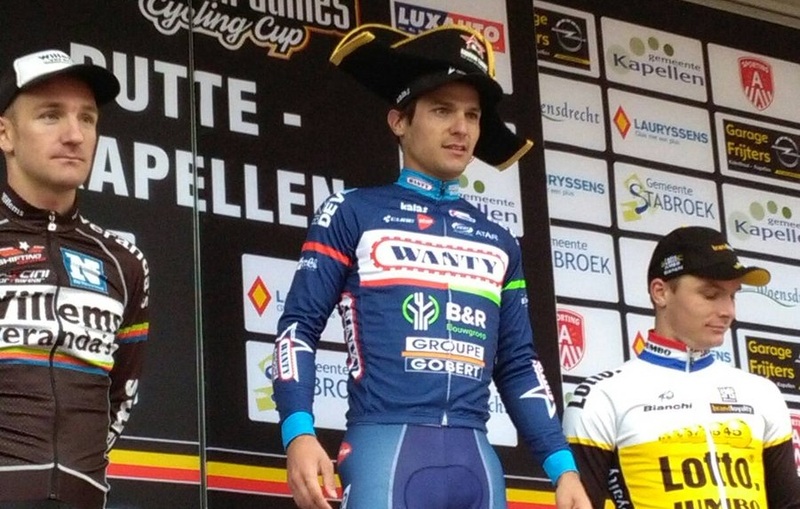 It is a beautiful farewell gift for Wanty-Groupe Gobert. 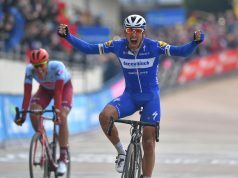 Next year I’ll ride in another team”, he concluded.